The Boys from Brazil – Did You See That One? A network of Nazi hunters has uncovered a horrifying plot to bring the Third Reich back to life. 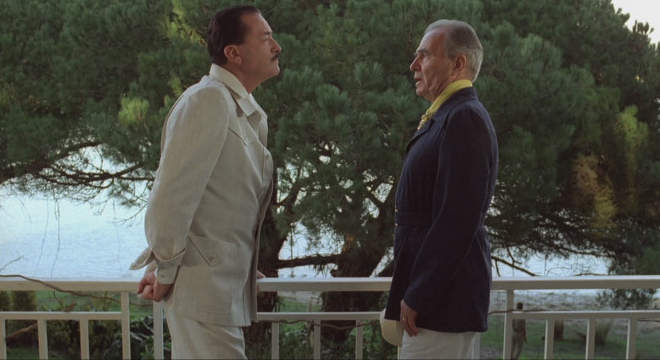 Now former Nazi, Dr. Josef Mengele (Peck) and Ezra Lieberman (Olivier) are locked in a dangerous game of cat and mouse. 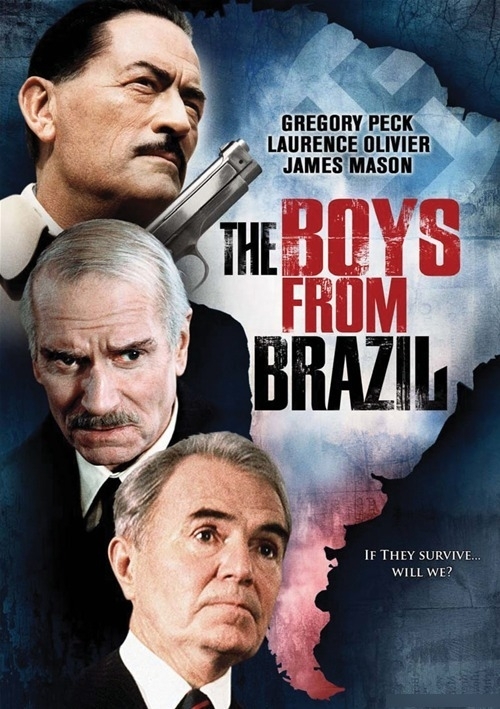 This 1978 film is based on Ira Levin’s (Sliver) novel “The Boys from Brazil” which was originally published in 1976. The adaptation was done by Heywood Gould (Cocktail). The film was directed by Franklin J. Schaffner (Patton). Legendary actors Gregory Peck (To Kill a Mockingbird) and Laurence Olivier (Rebecca) lead the way in this movie. 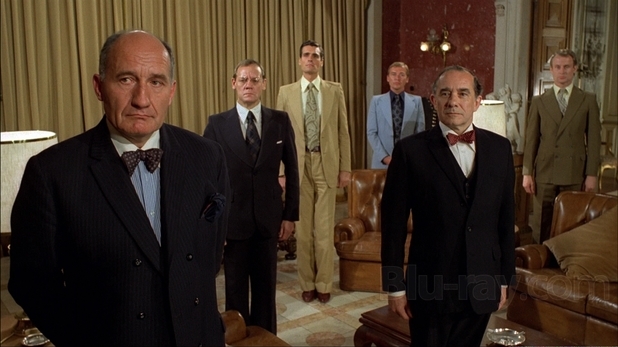 They’re joined by James Mason (North by Northwest) and a number of other good actors. This story is a unique blend of science fiction, drama, and suspense. The story doesn’t dwell on the history of the Holocaust, except in using it as a backdrop for the plot. While the film uses real people as the framework for characters, this is entirely a work of fiction. The historical background of the story lends a sense of foreboding to the story. The twists and turns throughout the story keep it from becoming predictable. There is also a nice mix of science fiction built into the movie that helps with the premise. Even the dialogue seems to acknowledge the tone of the story, keeping things serious and dark at all times. The issue with the writing is in the dialogue. There are a few too many lengthy speeches and moments of exposition that slow things down. This isn’t a fatal flaw for the film, but it is a noticeable aspect of the story. The strength of the premise makes up for much of what might be wrong in this one. Overall, it’s a nicely written film. 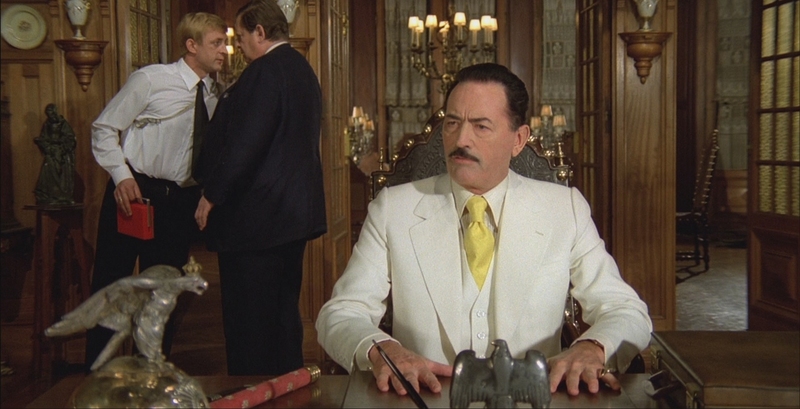 The acting in this one features two great performances from Oscar-winning actors Gregory Peck and Laurence Olivier. Their chemistry in the scenes they share are reason enough to watch this one. Individually they’re also great, both physically transforming into their characters. This includes accents that each were required to adopt for the film. Peck does a nice job with a very dark and very emotionally charged role. His intense performance is different from the other films that he’s known for. This time he’s a villain instead of the quiet hero, and it’s great to watch. Olivier is also great in this one. 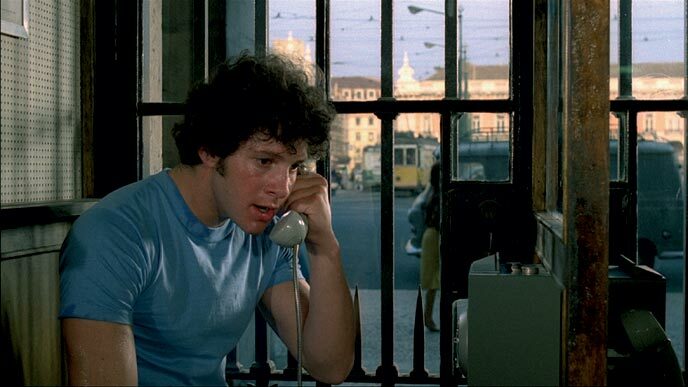 He has a more thoughtful role, which contrasts sharply with Peck and the rest of the cast. He earned his last Oscar nomination for Best Actor for his work as well. 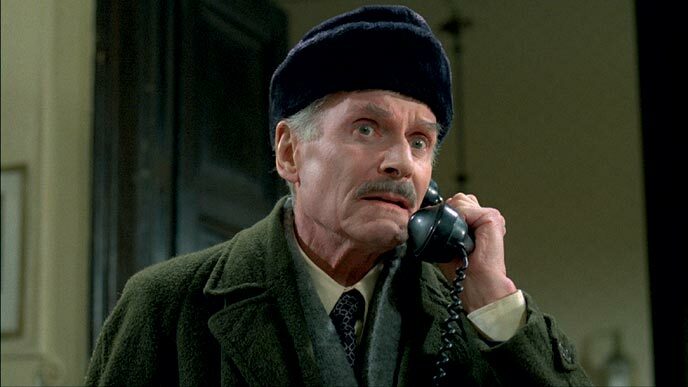 James Mason also does nice work in this movie. He’s just one of a handful of people who bring something special to this one. Overall, the cast does a nice job bringing this story to life. In addition to an intense story, they brought a story spanning several countries to life with great success. The visuals in this movie are good, but they’re not anything special. Mainly, the camera work and other aspects of the film serve to provide a way for the actors to tell this interesting and intense story. The age of the film is apparent in some of the action scenes, but otherwise it’s not something that affects the film. The film was nominated for an Oscar for Best Editing. In addition, the film earned Jerry Goldsmith an Academy Award nomination for Best Original Score. This is a great story that has held up nicely, even after close to forty years. Fans of the stars will definitely want to check this one out. I would also recommend this to fans of science fiction thrillers. I give this one 4.2 out of 5 stars. great movie. just rewatched it last month. love the mix of science and thrills in a cat and mouse game! Definitely a movie that can be seen more than once. I’m gonna watch this film very soon after reading your brilliant review. Thanks for your compliment! Can’t wait to see what you think. I’m looking forward to watching it. By the way, sorry I haven’t been on your blog a lot lately. Been trying to keep up with all the blogs I follow can be hard. I’m always happy to see you come by. Likewise, you can stop by my blog anytime man.